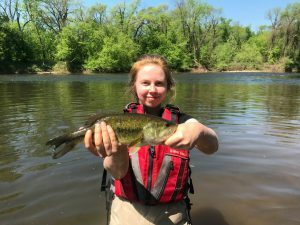 Rutgers Raritan River Consortium (R3C) minigrant funds allowed the expansion of fish passage analysis on the Raritan by hiring Kiera Malone, a Rutgers undergraduate, as a student intern to research the movement patterns of a wide range of fish species that inhabit the Raritan River. In the process of working on this internship, Kiera gained valuable experience by working in the field, in the lab, and on data analysis. Kiera also gained valuable technical experience by working with state of the art telemetry and video monitoring equipment. Working in conjunction with the New Jersey Department of Environmental Protection, New Jersey American Water Company, and New Jersey Water Supply Authority, Kiera participated in anadromous fish species field sampling, she also helped with tagging these fish to monitor their passage through the Island Farm Weir fish ladder in Bound Brook, New Jersey. At the end of the field season, Kiera checked video footage and counted more than 1,500 fish, comprising of more than 20 species. She used the statistical platform R Studio to compare 2018 passage trends to previous years’ data, she also used it to investigate topics like the time of day specific fish species are most active and when various species make use of the fish ladder during the season. 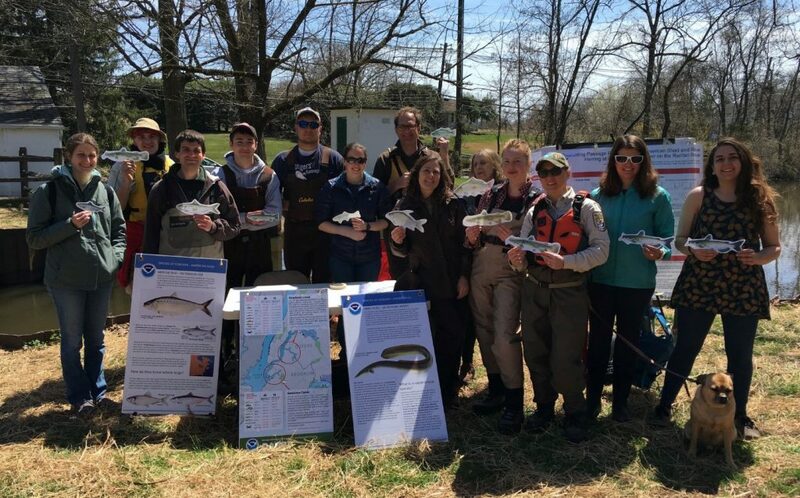 Additionally, Kiera facilitated community outreach events like lab tours, Raritan research project discussions, and fish dissections to educate junior and senior high school students who are interested in science. Besides educating students, she also helped organize an event for World Fish Migration Day, which raises awareness for migratory fish around the globe. Kiera’s analysis continues into the fall as an independent research project where she will further analyze fish migration patterns and investigate how they relate to climate-sensitive environmental variables like river discharge and temperature. After finishing this analysis, Kiera plans to present these findings at upcoming academic conferences and local angler club meetings.